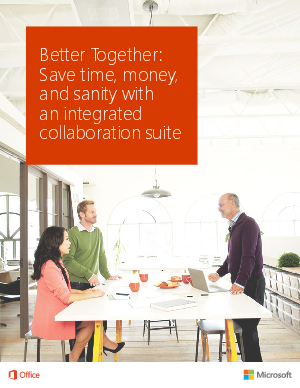 Going with a single-vendor collaboration platform is an easy call, right? Employees can communicate and share more easily, and your IT team only has to deal with implementation from one vendor, not dozens. Download the Better Together eBook for complete details.